What Is A WRAS Approved Commercial Dishwasher / Glasswasher? Many suppliers and manufacturers will not consider WRAS approval when proposing a solution for your business. 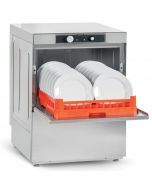 However, depending on your industry sector or washing requirements it could be a legal requirement for your business and therefore something you need to consider when buying a commercial dishwasher. It is a legal requirement that any water fitting or appliance that is connected to, will carry or will receive water from the public mains water supply must comply with the Water Supply (water fittings) Regulations* or Scottish Byelaws. 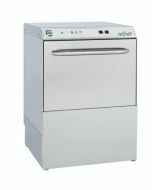 Example applications would include commercial appliances such as commercial dishwashers, glasswashers and laundry equipment as these are connected to a mains water supply feed to operate. It is the responsibility of a property owner to know which regulations apply to their circumstances and ensure compliance. Laws are typically in effect between the boundary of a property and the point of discharge as illustrated below. WRAS is the Water Board Regulatory and Advisory service. WRAS is a subscription membership of which the subscribers are the 26 UK Water Suppliers. Their purpose is to contribute to the protection of public health by preventing contamination, encouraging efficient use and promoting compliance. ‘WRAS Approved’ status is (and can only be) granted directly by the Water Board Regulatory and Advisory Service. 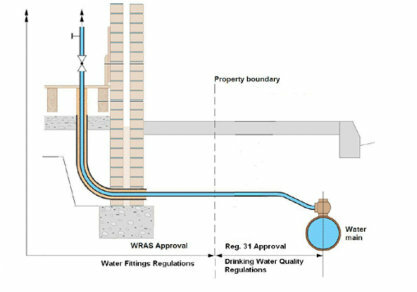 WRAS Approval is the best way to demonstrate compliance with legislation to water board inspectors as all of the UK water suppliers accept it. 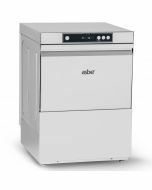 A whole product (such as a glasswasher, dishwasher, washing machine or tumble dryers) that has been sent to WRAS by the manufacturer to check for full compliance with regulations and bylaws. A WRAS approved product has passed all checks and holds a certification that the components have been tested under pressure and the appliance is of a safe and suitable build quality to be attached to the UK water system. *Water Fittings Regulations’ refers to The Water Supply (Water Fittings) Regulations 1999, The Water Supply (Water Fittings) Regulations (Northern Ireland) 2009 and The Water Supply (Water Fittings) (Scotland) Byelaws 2014.